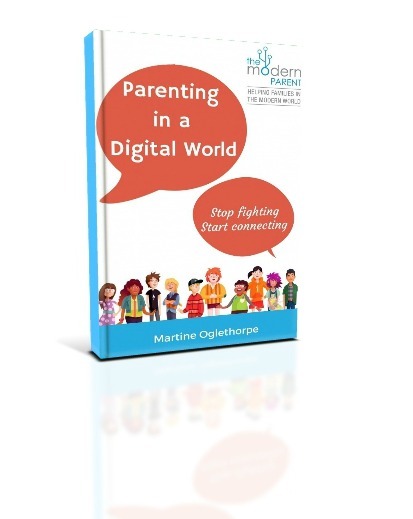 “Parenting in a Digital World:Stop fighting, start connecting” is the new book by Parent Educator and counsellor and Easy Peasy Kids associate, Martine Oglethorpe from The Modern Parent. This book takes a comprehensive look at how our ‘real world’ parenting helps determine the experiences our kids have in using technology and the online world. I love that this book focuses on understanding things from the perspective of our children and what it means to grow up in a digital world. My own beliefs at looking at the world through the eyes of the child, and looking at the bigger picture forms the basis of this book. It covers so many questions and concerns that I know parents are faced with every day, and gives you real insight and strategies to help make things better. 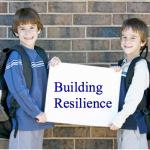 To help keep the connections with your children strong so that you can better lead them to not only be safe and responsible, but to make good decisions both now and in the future. This book is a must for parents with children of all ages. Whether your child is a toddler just starting to pick up your phone and play some games or a teenager in the midst of struggling to keep a balance between their devices and their real life experiences, you will certainly benefit from this fabulous resource. I am giving- away three copies of this e-book, all you have to do is leave a comment, with what you believe is one positive aspect of children being immersed into the digital world and one negative aspect of children navigating the digital world. To buy this ebook, click here, or head to The Modern Parent to find out more. A positive aspect of digital technology is some of the wonderful educational games for young children, my son plays games to help learn the alphabet. A negative aspect of digital technology is the lack of face to face interaction. I hate to think where the world will be in say 50 years time! I love that I can help my 4 year old daughter answer questions about any topic she’s interested in (cassowaries, red back spiders & native Australian bats!) but I worry about how she will manage to not be influenced by the negativity & judgement of social media when she’s older. The technology available to our children is phenomenal. It is incredible that they can access information at the touch of a button or a word to a search engine. One positive aspect is that their love of learning and their inquisitive nature can only grow with access to the world at the touch of the screen. This will definitely be offset with the stagnate positions that they will be in while they are immersed in this digital world. The touch, smell and sounds of the great outdoors, the nature reserves to explore, the social skills gained from the rough-and-tumble games with their friends – these life skills will be lost if we as parents don’t encourage a balance between the two. I would love the opportunity to read this book and start some great habits with Mr 4 and Miss 6. Many thanks! wow! i loved hearing martine speak in person last year and look forward to more of her great advice. I believe one positive aspect of children being immersed in the digital world is the ability to having resources at their fingertips so that whether they are homeschooled, live remotely, or attend mainstream school, everyone has access to the same information at the same time, without the need to access a library which may not have the resources they need. I believe a negative aspect aspect of children navigating the digital world is they can become too involved which in turn can take away time that would be better spent with their family and friends without social media. Real life experiences and friendships are important without the use of the digital world so that the children learn to socialise and how to properly communicate face to face. A positive is my kids can keep in contact with friends and grandparents who live far away. Phone calls are nice but there’s something about talking face to face (even if via a screen!). A negative is they don’t understand the magnitude of some online actions & it can cause disharmony at home. Hi Nat. 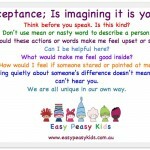 Positives are the creative side – my son is endlessly creative when online. The negative for me is that it encourages the hyper focus of his ADHD. A positive is they are able to obtain information so easily. For example we have been reading about caves and stalactites and stalagmites in preparation for a trip to Jenolan caves and we have been able to obtain so much information quickly about these topics and find the things that interest them. 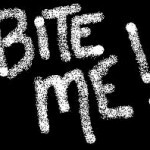 A negative is that they think everyone is their friend and we are trying to explain that just because someone tries to befriend you through a game it doesn’t mean they are a friend and that you should tell us and ignore them.